Pick from our classic colors for an elegant look at any even with these dress shoes! Featuring Faux Leather upper, wingtip lace up design for secure hold,round toe design, cushioned footbed for comfort, and non-skid outsole. Premium Faux Leather Lining, Latex Cushioned Footbed. 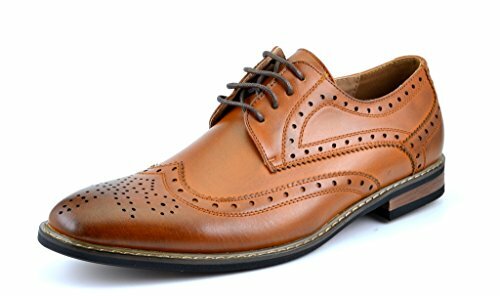 Lace-up construction，Classic Brogue Wing Tip Design. Flexible and Comfort oxfords with ornamental perforated patterns.